Situated on the confluence of the River Oka with the River Volga, Nizhny Novgorod is recognised as an important economic, educational and cultural centre in the vast Volga-Vyatka region, with significant tourism potential. Sheraton Hotels & Resort today announced the opening of Sheraton Nizhny Novgorod Kremlin, marking the brand debut in one of Russia's largest cities. Situated on the confluence of the River Oka with the River Volga, Nizhny Novgorod is recognised as an important economic, educational and cultural centre in the vast Volga-Vyatka region, with significant tourism potential. This latest milestone also solidifies Marriott's portfolio across the country, and promises to revolutionise Nizhny Novgorod's hospitality scene through Sheraton's distinct product offer coupled with its commitment to 'Go Beyond' for guests. "The opening of Sheraton Nizhny Novgorod Kremlin highlights our promise to enhance and develop our portfolio in the Russian market, while reinforcing the brand's position as a leader in global travel," said John Licence, Vice President Premium and Select Brands Europe at Marriott International. 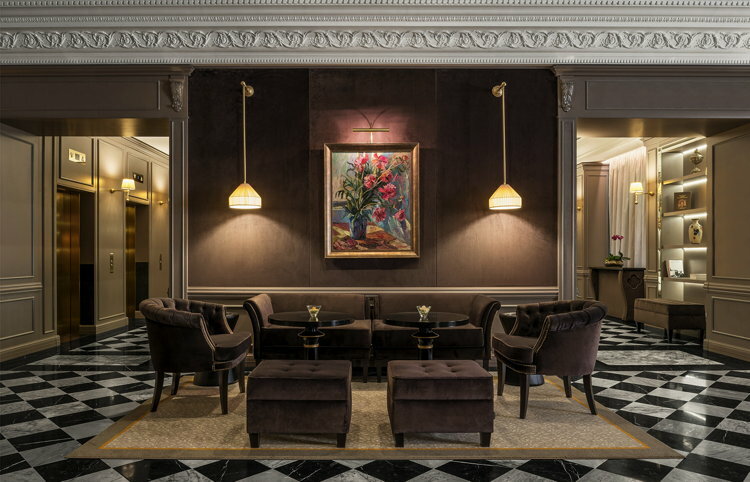 "We are thrilled to build on Sheraton's proud heritage in Central Europe, and look forward to helping our guests explore, relax and enjoy an exceptional stay in this gem of a destination." Just a short stroll from the majestic Nizhny Novgorod Kremlin and the fashion boutiques on Bolshaya Pokrovskaya Street, Sheraton Nizhny Novgorod Kremlin is ideally located in the historic quarter close to an abundance of cultural and heritage attractions. The hotel offers 176 deluxe guestrooms and suites that feature premium amenities specifically designed for comfort, including the signature Sweet Sleeper Bed. For those staying in suites, the Sheraton Club Lounge is an exclusive space to enjoy complimentary breakfast, drinks and snacks throughout the day. A state-of-the-art Sheraton Fitness Centre and massage suite offer guests the chance to recharge or relax. The interiors of the hotel's public spaces have been designed by Studio Jacques Garcia in warm hues to create a modern and inviting gathering place for travellers and the local community. A signature restaurant Smorodinn serves fresh and seasonal cuisine with a local flavor in elegant surroundings, while the lobby bar is the ideal place to connect over cocktails. Guests also have the option of in-room dining. With more than 400 square metres of versatile event space, including six meeting rooms equipped with the latest audio-visual hardware, it is anticipated Sheraton Nizhny Novgorod Kremlin will be a popular choice for both business functions and celebrations. There is also a 24-hour business centre and on-site parking facilities. Marriott International currently operates 25 hotels throughout Russia across 10 brands. By end of 2018, the company expects to boost its presence with eight more hotels slated to open in Krasnodar, Moscow, Rostov-On-Don, Saransk. Sochi, and Voronezh.